Another early morning, I am beginning to feel that work was easier than sailing. We departed Dover on a very settled morning at 05:45, slightly later than expected but tea and cigarette (need to give up) later we were on our way and into a quite English Channel. 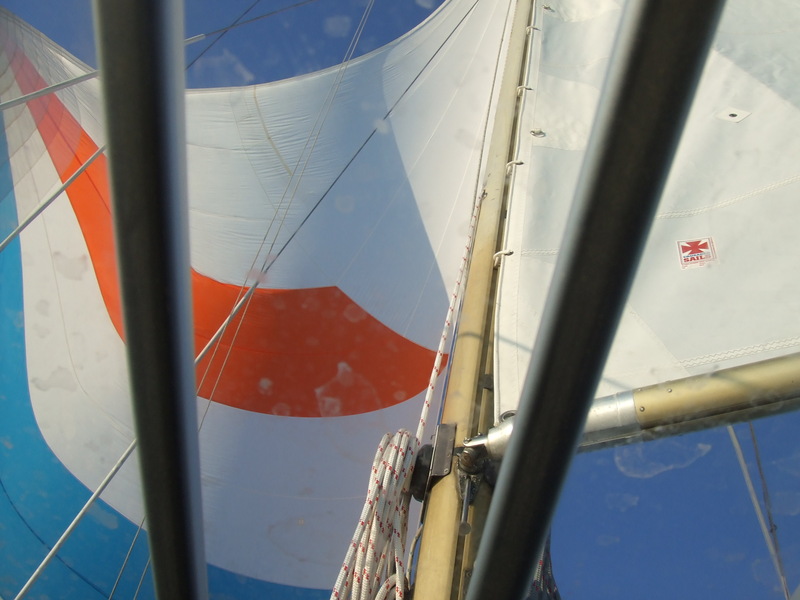 We had a lot of miles to cover today so I was eager to hoist the gennaker and see what speed Troskala could accomplish with light breezes. My gennaker dream was short lived with it constantly backing, but it was good to test it out and get some practice in handling it. So, after a while in went the gennaker and on went Bert (our Beta 30 engine). From 09:00 to 10:15 we motored with Carlos (the Auto Pilot) keeping a good course of 220 degrees. At around 10:30 a brisk North Easterly kicked in giving us the power we needed to give Bert a rest and sail around Dungeness with its pretty lighthouse and huge power station. 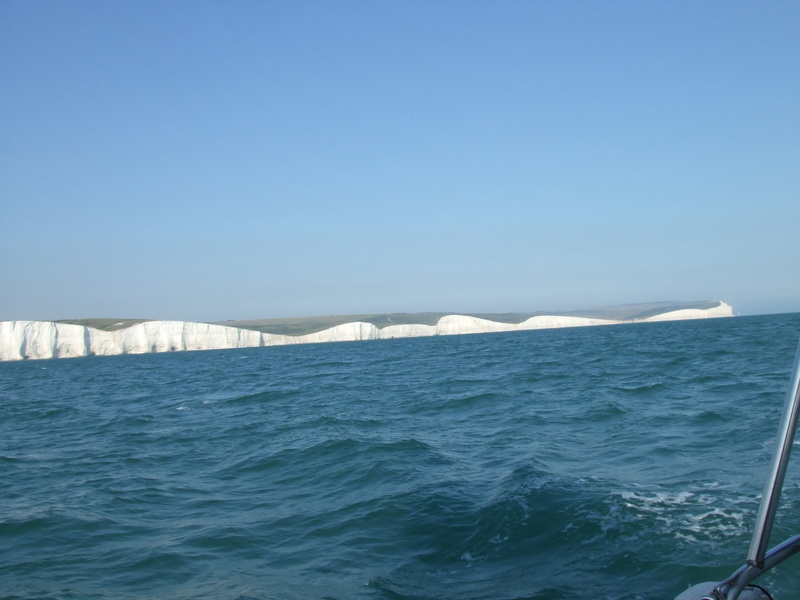 Our progress increased as we continued with Troskala making a good 6 knots over ground at this point the decision was made to continue Brighton as it is only around 15 miles extra from Eastbourne and it made sense to clear Beachy Head in calm conditions. Had a curry for lunch (from Iceland) that went down well, we were now in confused waters nearing Beachy Head and could not see the point until we were 5 miles up on it. After this point the view changed as the renowned lighthouse came into view with the Seven Sisters lifting up from the sea and basking in the afternoon sunlight. As soon as we rounded the headland our wind died and we motored the final 7 miles in Brighton Marina. We arrived in Brighton at 19:08 – sorry to my previous collegues who will be in Brighton next week and good luck with your sales meeting, I just made it too early.